Attention solider! You are under attack by a heavily armed battalion of enemy tanks. The odds are stacked against you, but as the last line of defense, you must not let them take your base. Fight back wave-after- wave, dodging and shooting enemy fire, while keeping the enemy at bay. 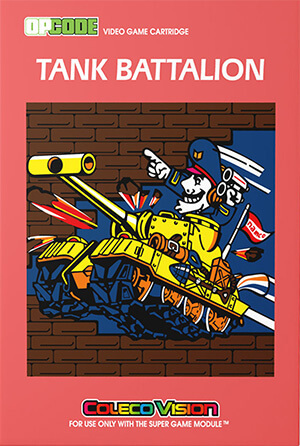 It’s up to you to out shoot, outmaneuver, and outlast in this action- packed tank game based on Namco’s arcade game of the same name.